As the years pass since Bruce Lee’s tragic and untimely death, his legacy is much clearer. As an actor, he redefined the action movie and set the stage for a new era of film-making. In martial arts, the application of his concepts to contest karate gave rise to full-contact fighting and the cross-pollination of styles … the origins of present-day Mixed Martial Arts and ‘ultimate fighting’. Bruce Lee pushed the limits of what’s possible for a human body … through the demands he made on it as the world’s greatest action star … and through the intense training methods he used to achieve that status. He broke other boundaries by being the first man to open up the secrets of the martial arts to the West, as he rode roughshod over tradition and protocol. He smashed barriers of racial prejudice and the Chinese stereotype, to remake the image of the Asian man in both his films and his personal life. As an icon, Bruce Lee’s worldwide acclaim continues to grow. His face has appeared on postage stamps throughout the world. 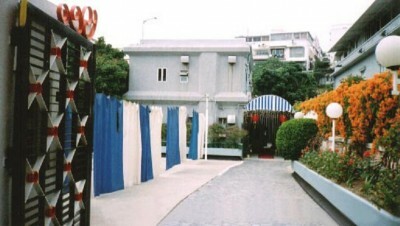 There’s been a Broadway musical, a Hong Kong theme park and a 40-part TV series. Asian Time magazine placed him on the list of heroes who helped Asia ‘from poverty to powerhouse’ and ‘from imitator to imitated’. As a philosopher, his understanding goes as deep as you care to look. 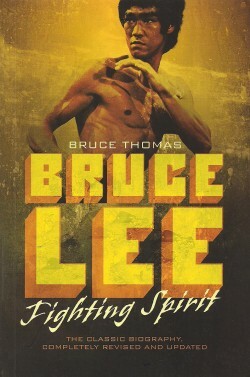 The original version of Bruce Lee: Fighting Spirit involved four years of travelling and writing, with research and interviews from over 1500 sources. The new edition is a completely revised and updated version, which took a further year to rewrite. This is probably the clearest, sanest account of the man’s life you’ll get. Also has the best suggestion I’ve heard about how he died. Bruce Thomas has gone to extreme lengths to make this book a good read. He has succeeded. This book is a masterpiece in its own right, not just because of the subject matter but because of the way the story of an important person has been told. A book that’s worth every penny whether you’re interested in martial arts or not. There is still only one REAL biography of Bruce Lee. And this is it. I found this amazing book inspirational and very moving. It’s a book that can actually change your life. There is a very powerful message hidden in this book. Just buy the book and discover something about yourself!